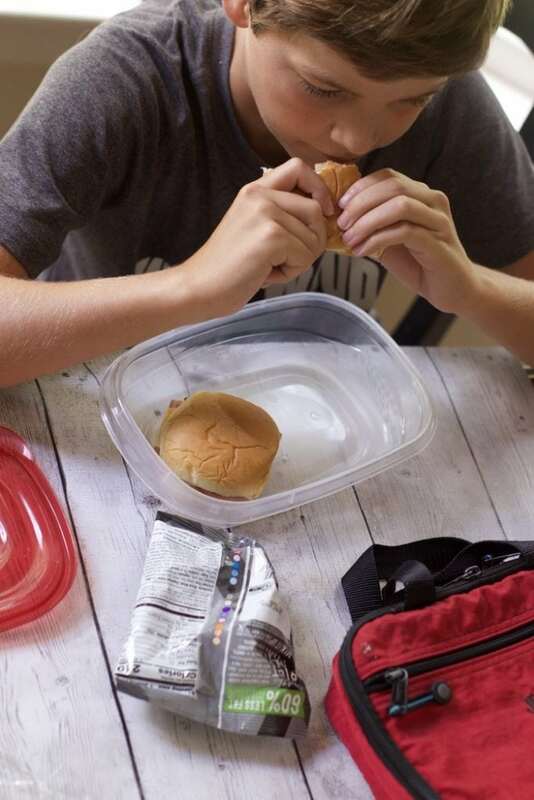 This post Back to School Lunch Hacks: Make Ahead Sandwiches Kids Will Gobble Up is sponsored by Pepperidge Farm, but the content and opinions expressed here are my own. Most of you are not even thinking about the back to school routine, although it will be here before you know it. One thing I dread is packing lunches. As the kids get older, we have adopted a system that puts more responsibility on them. I mean they are the ones eating the meal, they might as well put things in the lunch boxes they like. What has worked for us in the past is mom will make the sandwich and the kids will then add the fruit, snack, and drinks. 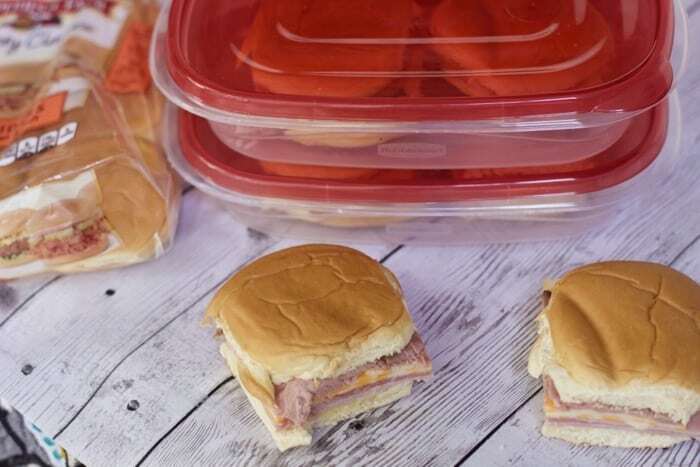 With these simple Lunchbox Hacks you can assemble these Make Ahead Sandwiches the Kids Will Gobble Up. My kids get tired of regular sandwiches, so we have decided to get Back to School-ready with Pepperidge Farm® Bakery Classics Slider Buns. We will show you how to make easy sandwich combinations a day or two ahead of time and then the kids can choose what combo of lunch sandwiches they are in the mood for. These are so simple to make, the kids can actually help you on Sunday night and then you will have sandwiches for a few days. Plus there is no room for complaining since they helped create the slider sandwich combinations. 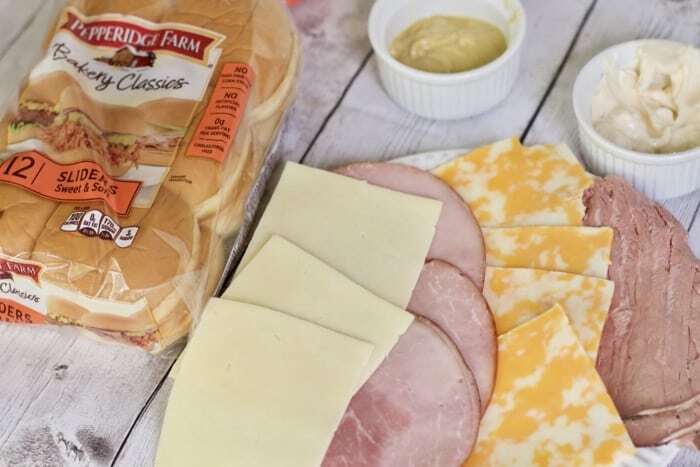 Pick up a few packs of Pepperidge Farm® Bakery Classics Slider Buns. They are the perfect size for little or big hands. I like to place them open-faced on a cookie sheet with a layer of plastic wrap long enough to cover the finished sandwiches. Spread a thin layer of mustard and mayonnaise, you know what your kids want. 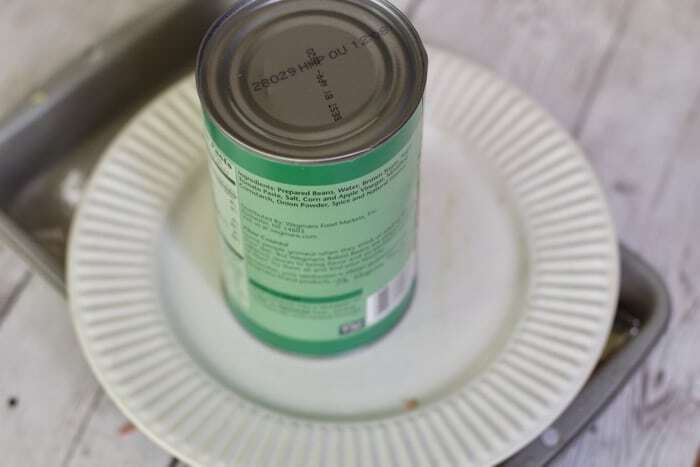 Keeping a thin layer will prevent them from getting soggy. Then alternate meat and cheese layers in any combination your children will gobble up. This next step is optional. 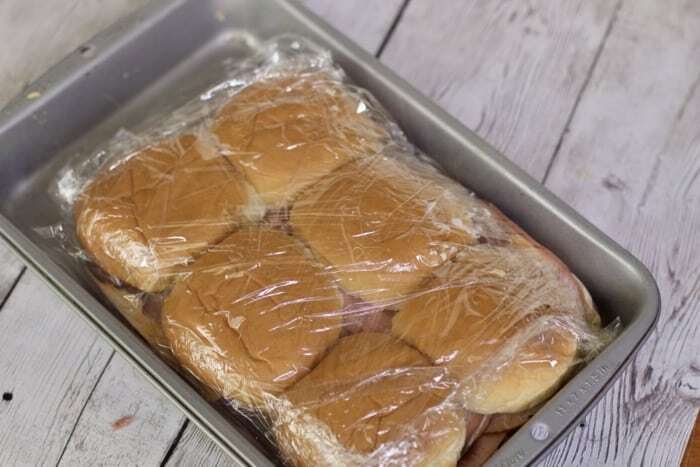 I like to wrap the sandwiches in the plastic wrap and place a tray or dish on top with a weighted object like a food can. Store in the fridge. 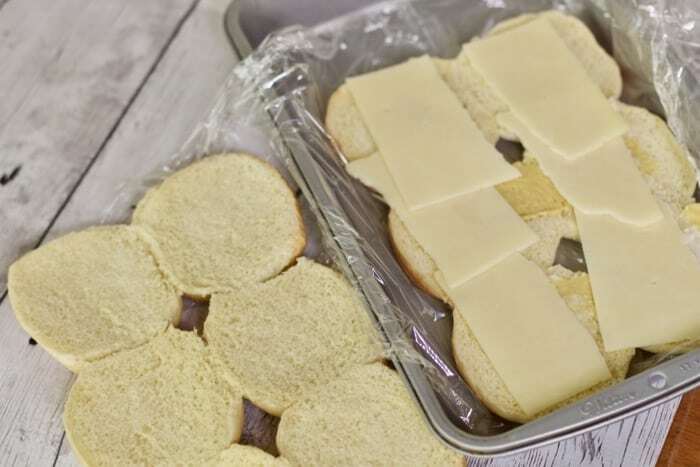 After about an hour or so, take the weight off and then cut the sandwiches into individual pieces. Place two or three into a plastic container and they are ready to pack into your kids’ lunches. 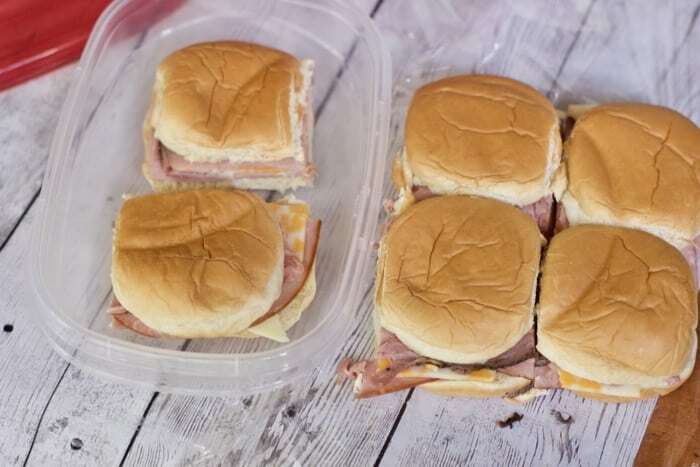 If you plan on making an assortment of sandwiches, just label the containers so the kids know what they are grabbing in the morning when they are groggy. Make these all year long so the kids have something to eat without making a mess. 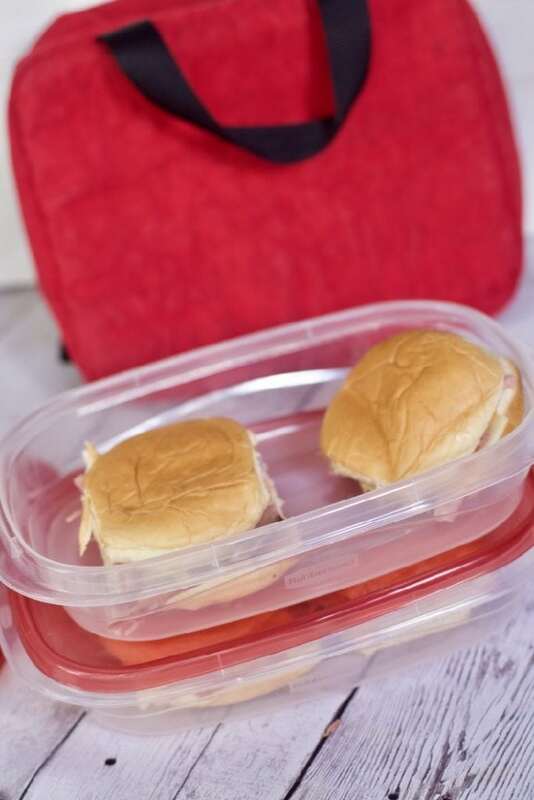 Don’t stress about making lunches With this simple lunch box hack, the hardest part is done in advance. Organize a shelf in your pantry with suitable snack items as well. 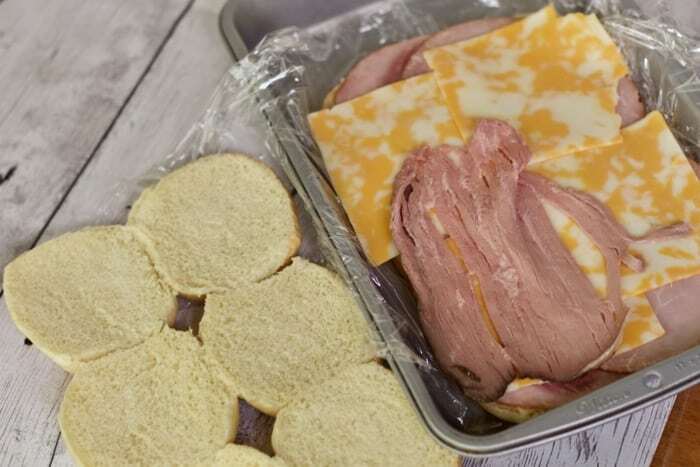 What School lunch hacks do you like to use? These are a easy idea. Thanks for sharing. My girls will love these.